The Danalock V3 Z-Wave Smart Lock allows a user to integrate their door with their smart home setup. The user can operate the smart lock through a Z-Wave network, or they can use the Danabridge to control the device through WIFI with the Danalock App. Buy the Danalock Z-Wave Lock here. Users who want to integrate a door lock with their smart home setup can benefit greatly from the Danalock V3 Z-Wave Smart Lock. This Z-Wave lock connects with virtually any Z-Wave controller for easy operation and access. The lock is easy to install, and it offers a sleek and modern design. When used with an alarm system, the Danalock V3 Z-Wave will pair as a Z-Wave lock. 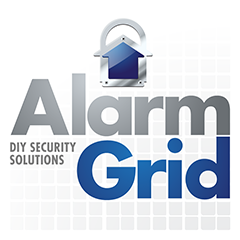 The user will then be able to control the lock from the panel, as well as from an interactive service platform like Total Connect 2.0 or Alarm.com. By using TC2 or ADC, a user can control the lock from virtually anywhere. This also means that they will be able to integrate the lock in with smart scenes to have it activate automatically based on a schedule or with certain system events. For instance, a user might have a scene to automatically lock the Danalock when they arm their system before leaving for work. The Danalock V3 uses Z-Wave Plus communication for extended range and superior reliability. The Danalock V3 can also be operated from the Danalock App on Android or iOS devices across a WIFI network. However, this will require a Danabridge to connect the Danalock Door Lock with the local WIFI network. The Danalock V3 can also be paired with a Danalock Push-Button Keypad so that the user can control the lock using local codes. These codes can be programmed from the Danalock App (Danabridge required). They can also be pushed either from the interactive service (TC2 or ADC) or directly from the panel, provided that the system supports this feature. Another benefit to the Danabridge and the Danalock App is that it will allow the user to see all activity for the lock, receive immediate notifications regarding any lock activity. and see which exactly which user operated the lock. Both the the Danabridge and the Danapad communicate with the Danalock V3 through a local Bluetooth connection. All communications utilize 256-bit AES encryption for maximum wireless security. For power, the Danalock V3 uses four CR123A batteries. It has an average battery life of 1.5 years. A mounting guide comes included for easy installation. The device measures 2.5 inches in diameter, and it is 2.75 inches thick. Please note that there is also an Apple HomeKit Version of this lock. However, the HomeKit Version is incompatible with both the Danabridge and the Danapad.